The 605899 Movado Safiro Men’s Watch presents itself as a bold and particularly sleek craft which stands out among Movado collections while it maintains a simple design. The 605899 Movado features a black case and bracelet of PVD-finished stainless steel, Movado’s signature simple black museum dial and Swiss Quartz movement. 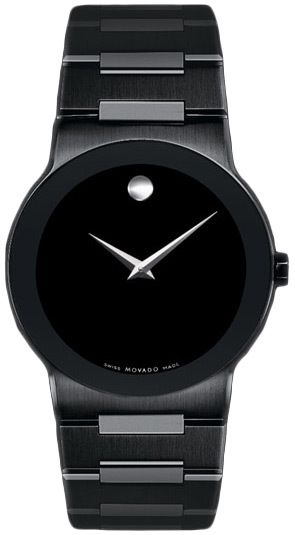 The 605899 Movado Safiro Men’s Watch owes a great deal of its unique style to its PVD-finished black stainless steel case and bracelet material. While the size and shape of the physical features of the 605899 Movado remains relatively simple and un-accentuated, the black stainless steel PVD-finish is smoothly incorporated to give the 605899 Movado design for a look that is both bold and sleek. The combination of these features gives the 605899 Movado a simple quality of elegance which remains subtle enough to easily blend in to a business or casual environment. The 605899 Movado Safiro Men’s Watch is constructed with case and bracelet material of PVD-finished stainless steel. 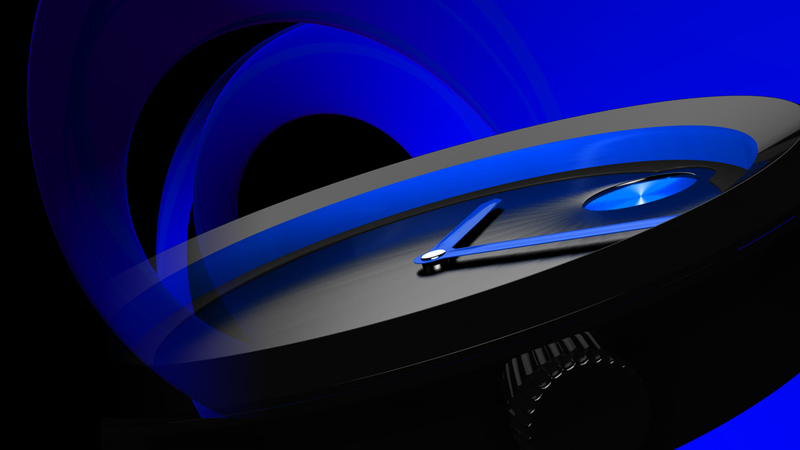 The case measures 36mm in diameter, includes scratch-resistant sapphire crystal and a push-in crown with a water resistance of up to 30 meters. The bracelet measures eight inches in length and is fastened with a hidden folding clasp. The 605899 Movado operates using Swiss Quartz battery powered hand movement. The 605899 Movado Safiro Men’s Watch retails at an MSRP of $1,695.00 and includes a standard International 2-Year Manufacturer’s Warranty with purchase from any authorized Movado dealer.